If you’re like many of us, you might still not know where you’re celebrating Thanksgiving. Procrastinators can relax – there are plenty of restaurants in New York City where you can enjoy a full celebration with or without turkey. And, because it’s New York City, there are many non-traditional versions to sample as well. So, don’t worry if you haven’t bought a turkey to cook yourself or if you missed the deadline to order from a catering house. Just watch the Thanksgiving Parade and chill; your Thanksgiving dinner awaits you at one of these wonderful restaurants. 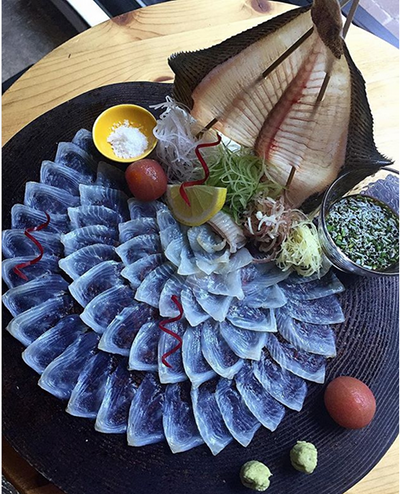 MIFUNE New York, the progressive Japanese restaurant in Midtown East, is offering a very special Thanksgiving menu. Think turkey and sweet potatoes, of course, but with a Japanese/French spin to it. Crafted by Head Chef Yuu Shimano (previously of Guy Savoy’s eponymous three Michelin-starred restaurant in Paris), the menu is available on Thanksgiving Day with dinner seatings at 5pm and 8pm, and is priced at $90 per person. Add a wine or sake pairing for an additional $60 per person. 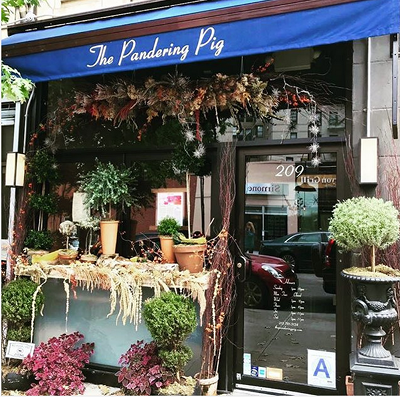 There’s still foliage to be seen at The Pandering Pig located in Upper Manhattan in Hudson Heights, overlooking the Hudson River. So hop the B train to 181 Street and explore a new part of the city as you enjoy a Thanksgiving dinner for the heart. Chef/Owner Nicole O’Brien will be serving a prix fixe dinner from 4-9pm with main courses such as dindon au vin (turkey braised in wine sauce) or wild pan-seared salmon with Cointreau gastrique, cranberries and toasted walnuts. Each is served with sides including garlic mashed potatoes, roasted Brussels sprouts, dried apricot and herb stuffing. Dinner starts with a velvety butternut squash soup. The three-course $56 prix fixe menu also includes coffee, tea, root beer and pumpkin pie or pecan pie for dessert. Katz’s Deli on the Lower East Side celebrates the holiday with their annual Thanksgiving dinner. From 5:30-8pm, it’s an all-you-can-eat-and-drink dinner that mixes American favorites with traditional deli treats. The turkey and mashed potatoes are a given. But have you ever thought to add Jewish specialties like tsimmes (carrots, dried fruits and root vegetables) or latkes (potato pancakes)? Also downtown, Harold’s is all about tradition and comfort with a prix fixe family-style dinner for $62 per person. The first course features a holiday antipasto followed by roasted turkey, Italian sausage, ham steak, green bean casserole, mashed potatoes, traditional stuffing and more. For dessert, Harold’s will be serving traditional pumpkin and pecan pies as well as apple cobbler and cranberry cheesecake. You may not be staying at the Arlo SoHo hotel where Harold’s is located, but you should definitely explore its public spaces before you leave: the courtyard has been transformed to mimic an apple orchard in the city with pick-your-own apples, hay bales, corn stalks and pumpkins for sale. 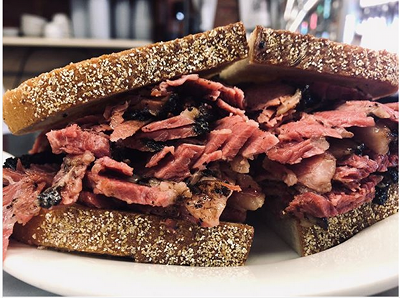 2 Renwick St., 212-390-8484, https://www.arlohotels.com/arlo-soho/eat-and-drink/harolds/. Feeling decadent? 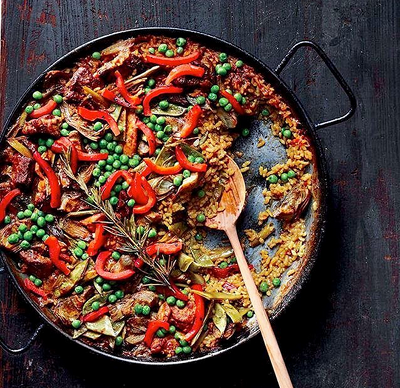 You don’t have to go to a restaurant or stay at home to enjoy the holiday. Instead, a staycation at The Plaza brings with it reserved-seat viewing of the Macy’s Thanksgiving Parade. 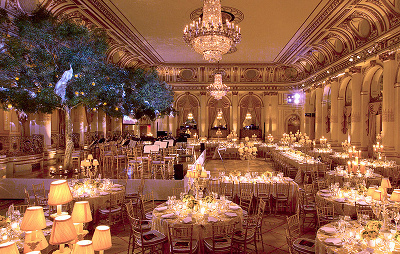 Between November 21 and November 23, celebrate a quintessential New York Thanksgiving with two iconic institutions when you book the Carnegie Suite at this storied hotel. You won’t be “home alone” for long! Dinner after the parade? Well, you’re on your own for that. 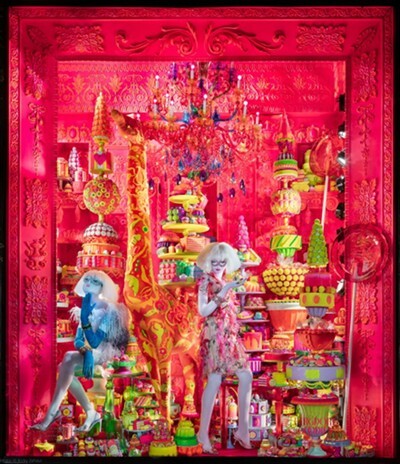 But first, take a holiday-inspired stroll from The Plaza down Fifth Avenue to look at the Christmas windows at Bergdorf Goodman and Saks Fifth Avenue and to check out the skaters at Rockefeller Plaza (the tree’s not up until Wednesday, November 28 so plan to return for the tree lighting and live performances from 7-9pm). https://www.rockefellercenter.com/whats-happening/2018/11/28/2018-rockefeller-center-christmas-tree). Now that Hurricane Florence has finally passed and glorious weather is upon us, it’s time to dine outdoors again while the temperatures are still lovely. 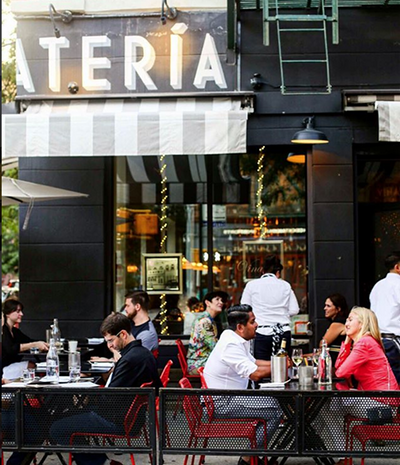 Here are some wonderful restaurants and bars with patios perfect for people-watching and soaking up the rays in these last few months before fall hits. Pig Beach is the critically acclaimed outdoor barbecue restaurant located in the Gowanus neighborhood of Brooklyn from Chef Matt Abdoo (Del Posto) and award-winning barbecue teams, Salty Rinse and Ribdiculous Bar-B-Krewe. The all-star team here brings an eclectic barbecue-focused menu to the Gowanus waterfront showcasing barbecue varieties from around the United States. If you’re chilly, there’s also a large indoor space, now open year-round. Come here, first, for a canoe trip on the Gowanus – it’s an experience you’re unlikely to forget. Another Brooklyn favorite, Gran Electrica is the Bib Gourmand Mexican restaurant located underneath the Brooklyn Bridge in DUMBO. Gran Electric offers an authentic and market-driven Mexican menu inspired by traditional Mexican street fare. From hand-pressed heirloom corn tortillas made daily stuffed with lengua, cilantro, onion and radish, to day boat scallops marinated in aguachile, the cooking shows diversity of the many regions of Mexico. The beverage program incorporates Mexican flavors with seasonal ingredients and also features an expansive agave list with more than 50 types of tequila, mezcal, racilla and sotol. The large outdoor area has a breathtaking view of the Brooklyn Bridge. To get here, rent a Citi Bike from Chinatown and bike over the Manhattan Bridge. 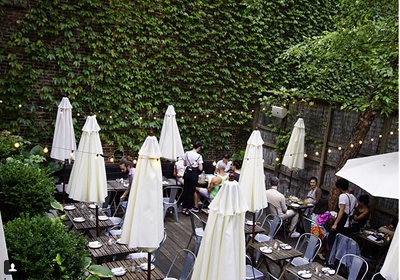 The Smith offers a wonderful choice for patio dining after an evening at any of the ballet, music and theater venues at Lincoln Center or Jazz at Lincoln Center on Columbus Circle. Under the direction of Executive Chef Brian Ellis, The Smith’s menu features bistro classics and seasonal fare from local farmers and purveyors. The restaurant has a popular craft cocktail program with house-made ingredients featured and an extensive wine selection which includes more than 20 wines by the glass or carafe. 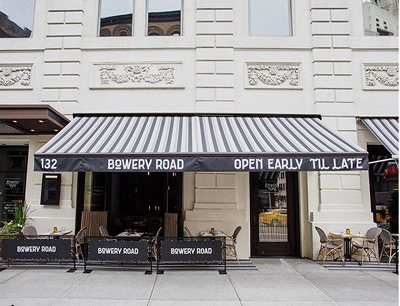 Taking its inspiration as well as ingredients from the nearby Union Square Greenmarket, Bowery Road is an all-day restaurant serving market-driven fare from Chef Ron Rosselli. Some of the seasonal appetizers include pinto bean hummus with mole spice, seeds and flatbread; roasted carrots with pine nut cream and garlic-honey vinaigrette; marinated beet salad with avocado cream, pomelo, hearts of palm, and almond dukkah. Main courses mix vegetarian with meat-centric choices such as the Union Square Market grain bowl with farro, quinoa, lentils, avocado, broccoli, mushrooms, and sunflower; or Niman pork adobo with mango, radish, onion and corn crepes. Together with adjacent craft-cocktail destination Library of Distilled Spirits, where more than 1200 different spirits are offered, Bowery Road gives a Manhattan sidewalk-patio dining experience that’s unusual in its spaciousness. Happy hour is popular here as a stop en route to the nearby subway hub, serving up a menu of well-priced cocktails, wines , beer and a shareable bucket and beer filled with fried chicken, two draught beers and snacks. 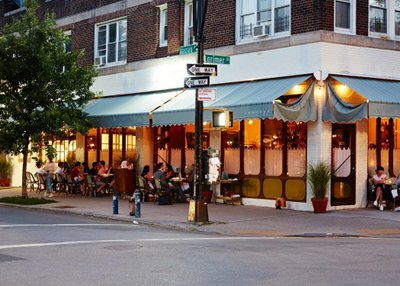 At this beloved Harlem neighborhood restaurant, market-driven and vibrant dishes celebrate the rich culinary traditions of Italy and Spain. Cult favorites like spicy veal meatballs with creamy parmigiano polenta, or fresh rosemary pappardelle with lamb ragu attract a clientele of both locals and visitors. Vinateria’s expansive wine list is chosen from small producers and is full of surprising yet accessible finds, while the artisan cocktail program uses house-made tinctures, seasonal produce and fresh-grown herbs from the restaurant’s own garden. A large outside patio wraps around the restaurant (a corner building), seating 40. 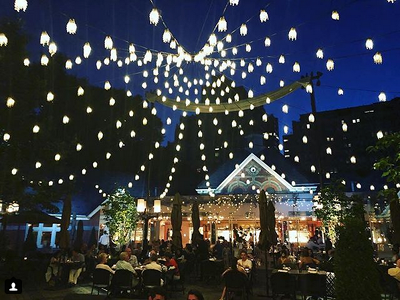 Tavern on the Green’s outdoor courtyard is the perfect Central Park location for brunch, lunch, and dinner under the soft glow of string lights. Seasonal dishes from Chef Bill Peet include seared yellowfin tuna nicoise salad, miso marinated glazed marrow bone, wild mushroom toast on brioche, and smoked salmon tartine, with trout caviar. The bar at the top of the courtyard offers a separate setting for beer, wine, and cocktails such as white peach sangria, and the refreshing Hot as a Cucumber craft cocktail made with vodka, jalapeño, fennel, and cucumber. Enjoy a wonderful walk in the park to get here – the restaurant is located off Central Park West at West 67th Street or via the interior roadway encircling the park. SummerStage is a largely free outdoor concert and performing arts series scheduled in 18 parks throughout New York City during the five summer months (through September). The end of August shows are particularly exciting and will have you on your feet with rhythms, dance, and music befitting the hot “dog days” of summer. The week of August 21 scheduling includes a screening of “Mr. Gaga,” the story of choreographer Ohad Naharin and his signature movement language developed during his tenure as artistic director of contemporary dance powerhouse Batsheva Dance Company. Starting this film-oriented evening on August 22 will be a performance by GALLIM, whose artistic director, Andrea Miller, was a Batsheva company member and is now forging her own path with her Brooklyn-based company. The program begins at 6pm and is free. Central Park, Rumsey Playfield, enter at 72nd Street. For more information, visit https://cityparksfoundation.org/summerstage/. 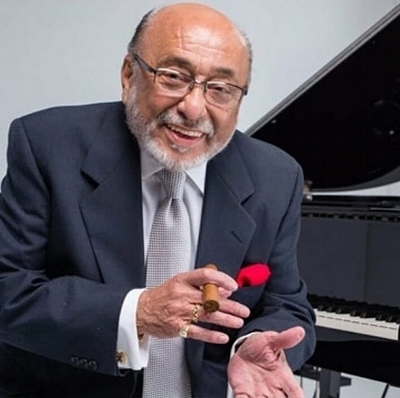 On Sunday night, August 26, the tempo kicks up salsa-style with a free concert from salsero Tony Vega and Grammy Award-winning Latin jazz band leader Eddie Palmieri, who will be performing with his band La Perfecta. While bleacher seating is available at Rumsey Playfield in Central Park (enter on 72nd Street, off Fifth Avenue), you’ll want to be on your feet closer to the stage to dance to the rhythms of this amazing musical group. The show starts at 6pm. Refreshments are available. 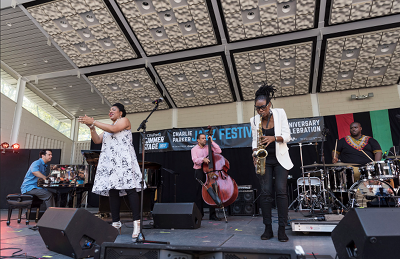 One of the most anticipated events in New York City also happens this week, the 26th edition of the Charlie Parker Jazz Festival, which runs from August 24 through August 26, with free concerts, panel discussions and workshops. There will be live performances in Harlem’s Marcus Garvey Park, near where Parker worked, and in Tompkins Square Park, near where Parker lived. (Note the house near East 10th Street with the Charlie Parker plaque on it). This year’s highlights include a celebration of Charles Tolliver’s Paper Man with Jack DeJohnette, Gary Bartz, Buster Williams; Monty Alexander and the Harlem Kingston Express; and a special commission with trumpeter Adam O’Farrill, Immanuel Wilkins, and Joel Ross. Shows in Marcus Garvey Park are scheduled for Friday August 24 at 7pm, Saturday August 25 at 3pm, and Sunday August 26 at 3pm. All concerts are free. Many of the shows are benefits and the City Parks Foundation depends on contributions to keep this wonderful free series alive for all to enjoy. 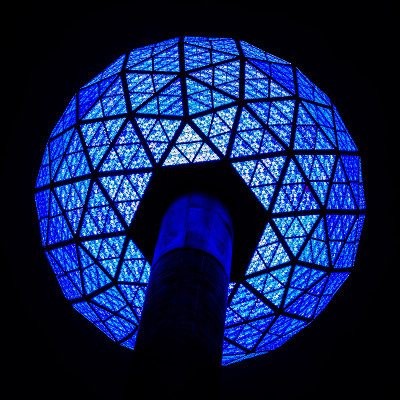 I’ve only done the “watch the ball drop” thing once in person, and I’ll never be that crazy again (although I do love the fireworks celebration in Central Park and the Midnight Run which leaves from Rumsey Playfield). But, if you’re determined to include Times Square in your New Year’s itinerary and you’re not just thinking about going to a Broadway show, Good Riddance Day and the Times Square Wishing Wall are two unique celebrations to consider. On December 28, it will be out with the old, in with the new in Times Square as visitors shred their worst memories from 2016 by disposing of them in a giant shredder. After letting go of 2016 and the less-than-jolly news of this year, guests can record a wish for 2017 on a piece of paper that will be added to the confetti that accompanies the New Year’s Eve Ball Drop. Think Wishfetti! 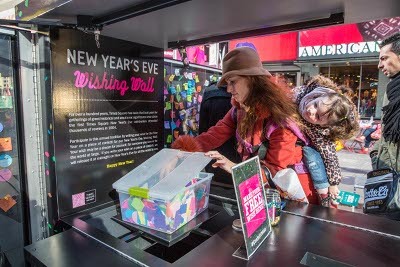 Just stop by Duffy Square (47th Street and 7th Avenue, Manhattan) between 11am and 8pm to post your wish on the wall. You can also contribute online to the Virtual Wishing Wall. All online wishes will be turned into confetti as well. Use the hashtag #confettiwish if you’re writing your wishes on Twitter or Instagram. Feel free to toast early with a nice glass of bubbly or a hot apple cider (spiked with rum)! The city kicks off its October event schedule with three programs for good causes: peace, music, and parks. On October 6, Yoko Ono, founder of Imagine Peace, invites you to help her create the world’s largest human peace sign in honor of John Lennon’s birthday on October 9 (he would have been 75). 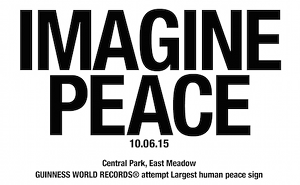 Near Strawberry Fields in Central Park, the attempt at the Guinness world record will happen in the East Meadow. Expect anywhere from 6000 to 10,000 people and wear your best rock ‘n roll colors. Be there by 12 Noon (you can register onsite, too) as the photo will be shot overhead at 12:30pm. The event is free, but donations will go to the John Lennon Education Tour Bus, a non-profit mobile Pro Audio and HD video recording facility that provides hands-on experiences for students. You can sign up online at Eventbrite. 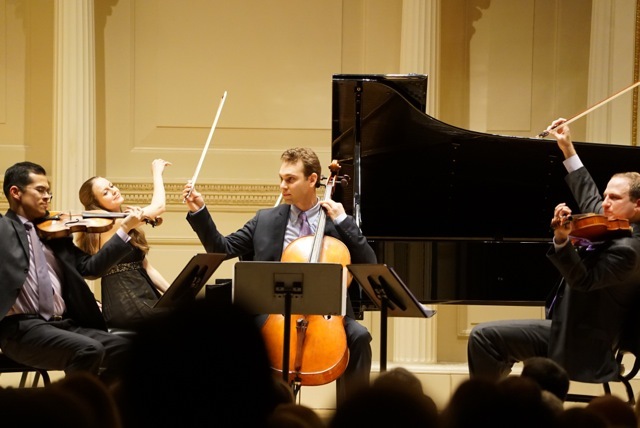 Also, on October 6, the Bulgarian Concert Evenings program in New York has its Opening Night Gala at 7:30pm at Weill Recital Hall at Carnegie Hall. Tickets are $40, $30, and $20 and support the development of young and upcoming musicians as well as fund the ongoing free concert program at the library of the Bulgarian Consulate General. This year’s gala features a program of music by Wolfgang Amadeus Mozart, Dobrinka Tabakova, and Franz Schubert played on violin, viola, cello, double bass and piano. For information and tickets, visit www.bceny.org. 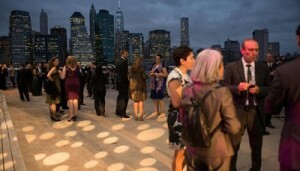 Two days later, you can show your support for the city’s parks at a benefit supporting the Brooklyn Bridge Park Conservancy’s miraculous transformation of the abandoned Dumbo waterfront into a beautiful park. 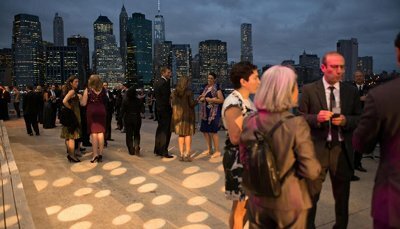 It’s a Brooklyn-style “black tie” affair taking place on Pier 2, called, not surprisingly, the Brooklyn Black Tie Ball and After Party. The October 8 event is filled with great food, dancing, and music, all with an amazing view of Manhattan’s skyline and the Brooklyn Bridge. I can’t think of a more wonderful way to thank these folks for all they do like bringing us the Movies with a View series, Pilates classes in the park, and Kayak Camp. The honoree at the event is former mayor Michael Bloomberg who was the driving force in the creation of the park. Cocktails and dinners are 6-9, with the After Party from 9-11. Separate tickets are required for each. Information at http://www.brooklynbridgepark.org/events/bkblacktie . We’ve had the Pope, the GA, Coldplay and Beyonce and their fans in Central Park. Road closures, subway shutdowns, and incessant helicopters. Sometimes you just want some peace and quiet. Here’s where you can go to find some serenity in the city. 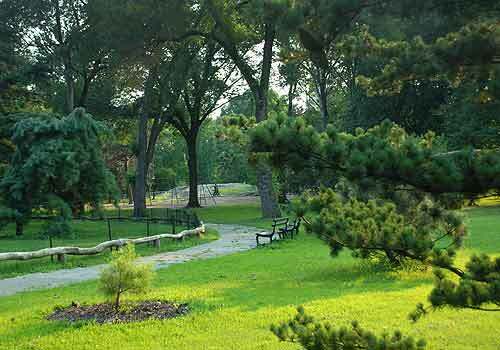 Immerse yourself in nature at the Arthur Ross Pinetum in Central Park. Located between 84th and 86th streets, this area of Central Park has 400 pine trees of 15 various species worldwide. Clear your mind at the Contemplation Circle and do some bird watching while gazing at the buds on the trees. Long-eared and northern saw-whet owls are known to sleep in the surrounding pines during the day, making the Pinetum a prime location for bird watchers. To truly take a step away from New York City, hop on the Staten Island Ferry for free and get a breath of fresh air as you sail away to the serenity of the Jacques-Marchais Museum of Tibetan Art. 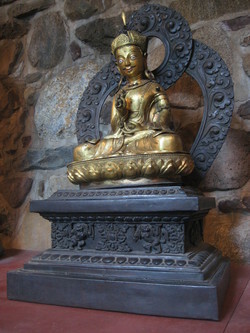 Admire the largest collection of Tibetan art in the West, located inside of the only Himalayan-temple-style building in the United States. Afterwards, take some time to wander around the beautiful meditation gardens outside. If you fall in love with the Tibetan culture by the end of your visit, then make sure to venture back to the museum in October for the annual Tibetan festival. If you’re lucky, you’ll get to hear the monks ring the bells to break your silent reverie. The museum is open Thursday through Sunday from 1pm-5pm. 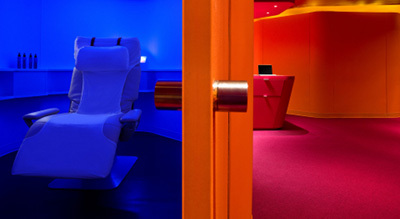 For the ultimate power nap, visit YeloSpain Manhattan and try out a YeloCabTM. After a nap in one of these cocoon-like cabins, you will feel rejuvenated and ready to get back to work in no time. Choose from a traditional massage while napping or a reclining YeloChair TM to sleep in for a weightless feeling. Customize the lighting and music in the YeloCab to your liking, and fill the cabin with your favorite aromatherapy scent. Snuggle up with a soft cashmere blanket and sleep that stress away at YeloSpa. 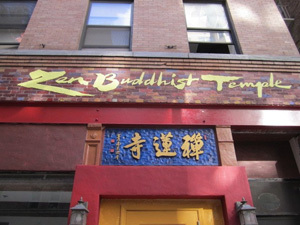 Awaken your heart and mind with a public meditation service at the Zen Buddhist Temple on the Upper East Side. Join other people looking to find their Zen and learn techniques that will help you let go of the stresses of living in New York City. 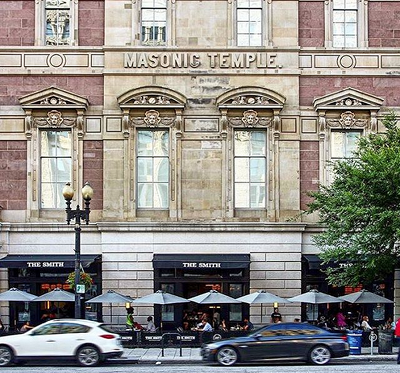 The temple’s public meditation service is a great way to prepare for the work week ahead, as it is offered on Sundays at 10:30 am. The session lasts one and a half hours and is completely donation-based. The suggested contribution is $10 per visit.